Founded in 1899, Kelly & Lewis has a proud history as a pump design and manufacturing company that extends over a century. Continuing the coverage of the history of the Australian pump industry, which we began in the November 2014 edition, here we explore the company’s long history. We map their growth through both world wars and their evolution into Thompsons Kelly & Lewis, through to the company’s eventual decline as tariffs forced an end to Australia’s manufacturing industry. Kelly & Lewis was founded in 1899 by Edward Powell Lewis and George William Kelly after the pair met through Atlas Iron Works. Their business relationship soon developed into a solid friendship, and the two had often discussed going into business together. But a murky economic climate still recovering from its slump, and the need for start-up capital, left Lewis hesitant to leave his position of Works Manager at Thompson’s Foundry. Despite his hesitations, Lewis managed to source financial backers, and in September 1899, they established their firm under its original name of Geo W. Kelly & Lewis. The firm began with £6,000 in capital, and progressed well up until the First World War. They initially worked out of Kelly’s original blacksmithing shop in Melbourne, and staff included a clerk, a typist, and several draughtsmen. Steady business allowed the firm to grow, and they soon employed 50 men across their three departments: blacksmithing, boilermaking, and the machine shop. 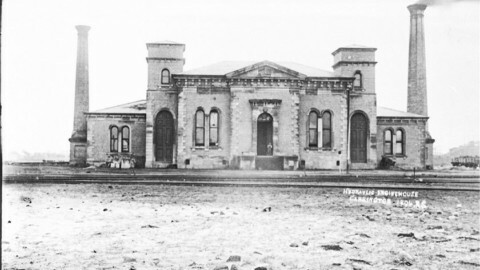 Eventually, a large order placed by Victorian Railways for locomotive cylinders demanded greater capacity, and the firm moved to larger premises which they continued to expand over the years. In its first 15 years, Geo W. Kelly & Lewis experienced continued growth, taking on larger and larger contracts. In 1913, the firm had been converted into a proprietary company and had capital of £50,000. When World War I began, the company moved into munitions production, with a contract for 18 pounder shells. The company also collaborated with inventor Mr A. de Bavay to build the required equipment. They also produced the first aircraft engines made in Australia. Though wartime production deadlines placed considerable pressure on Kelly & Lewis, they continued to plan ahead and commenced two developmental projects to be continued when peace was restored, which included expanding into other states. When peace arrived in 1918, the firm had established its position and reputation. George Kelly passed away in 1919, and control of the business passed to Edward Lewis and his son E Llewellyn Lewis, who was a Director of the company. By 1921, the Lewis family had repurchased all of the company’s shares. Expansion required the firm to move, and by 1927 the new plant in Springvale was fully operational. The economic recession of the 1930s curtailed production, and the firm experienced a difficult economic period. Edward Lewis passed away in 1930, with management passing to his sons Llewellyn and Kelvin Lewis. The firm began producing high speed diesel-powered engines, and established a subsidiary engine business. In 1939 the proprietary company was converted into a public company, and in 1940 the company’s name was changed to Kelly & Lewis Ltd. Throughout World War II, Kelly & Lewis greatly expanded its range of equipment. The company designed and manufactured steam generating sets, high-pressure portable pumping plants, portable electric generating sets, tank transport trailers, fuel pumps, and steel telegraph poles and radio masts. The company also supplied thousands of centrifugal pumps for water supply to industry and camps. Post-war, Australia proceeded with many large-scale development works. 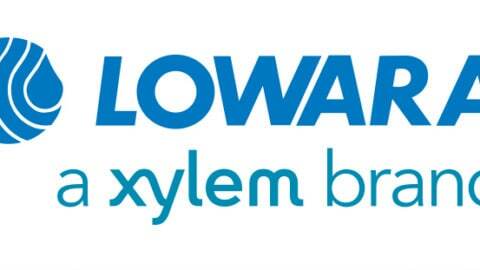 Kelly & Lewis accordingly established and acquired multiple manufacturing subsidiaries. Having diversified their group structure, the company focused on product research and development, setting up laboratories at the Springvale site. By 1950, a range of centrifugal pumps had been developed in the hydraulic laboratory, which had a range of equipment including generators, dynamometers, switchboards, flow measuring systems, and calibration tanks. Lithuanian engineer Andy Gasuinas was appointed Chief Hydraulic Designer in November 1950, and the Model 50 pumps range was produced to replace the pre-war design by 1955. The company also produced Model 55 solids pumps, Model 60 and Mixed Flow Volume (MFV) pumps, and commenced developing the modern design for split casing pumps. Mr Gasuinas introduced conformal transformation vane design technology, as well as hydrofoil variable-pitch design for axial flow pumps. Though economic downturn affected sales, Kelly & Lewis was awarded a large contract by the Melbourne Metropolitan Board of Works (MMBW)for the supply of large sewage pumps. The company secured manufacturing licences from the US, including one from Pacific Process Pumps to APA 610 specifications for the oil industry. Following company reorganisation, Kelly & Lewis emerged in 1960 with a slimmed-down group structure, and by 1961, the company had been purchased by UK company Mather + Platt. In 1968, Kelly & Lewis established a new Board of Directors to assess the company’s position and make strategic decisions for the future. In 1969, Kelly & Lewis attempted a takeover of its biggest competitor, Thompson’s of Castlemaine. Thompson’s turned hostile and sold a large parcel of shares, blocking the takeover. In May 1969, the company was awarded a large contract by the MMBW, which included four 48-inch fixed-speed pumps and four 48-inch variable-speed pumps. They also produced 42 GIW slurry pumps and cooling water pumps for Swiss Aluminium’s Nabalco Plants in the north of Australia. By mid-1971, the new range of centrifugal pumps designated ‘Model 70’ had been designed and were in production. 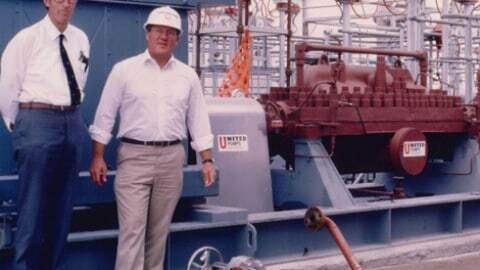 In 1975, the company won a contract for eight 16-inch GIW hard metal slurry pumps for Bougainville Copper. In 1969-1972, the Tariff Board conducted an inquiry into the pump industry, and cut its tariff protection from 55 per cent to 27.5 per cent, with ongoing annual reductions of 2.5 per cent. Then, in the early 1970s, the Federal Government cut protective tariffs across the board to 25 per cent. Unable to compete with cheaper foreign imports, pump manufacturing in Australia slowly declined. The effect that these policies had is reflected in Kelly & Lewis’ employment figures: in 1974, the company employed 700 people, but by 1986 this number had shrunk to 335. In 1976, Wormald International attempted a takeover of Kelly & Lewis’ parent company, Mather + Platt. By 1 January 1977, Wormald International became the owners of Mather + Platt. Wormald International also had the chance to buy Kelly & Lewis’ main competitor, Thompson’s Byron Jackson of Castlemaine, but opted not to. In 1979, the Wormald Australian Machinery Group (WAMG) was formed, with headquarters in Melbourne. Record profits were recorded in 1978-79, and further contracts had been obtained, including six vertical mixed flow diffuser (MFD) pumps for the Hope Valley Water Treatment Plant. In 1981, with a recession forecast, Kelly & Lewis won a large contract for the Loy Yang Power Station, which included eight 1,200mm/1,400mm horizontal split-case, double-suction, circulating water pumps. In 1983 discussions began on the design of end-suction centrifugal pumps to ISO standards, which would replace the Model 70 as an all-purpose unit. The KL-ISO range consisted of 32 pumps in sizes from 32mm to 200mm discharge diameters. With the Australian dollar strengthened, exporting was expensive, and additional union troubles resulted in a plant being established in Japan. KL-ISO pumps were in full production by late 1985. The continuing recession and pressure from imports resulted in the company recording a lower profit for 1983-84. The company also won a contract from the Brisbane City Council for two high-capacity 72-inch MFD vertical pumps with capacities of 110,000 gallons per minute at 66 feet total dynamic head. Despite this, profits had again fallen, and in 1984-85 Kelly & Lewis only managed to break even. Though parent company Wormald International was experiencing financial woes, Kelly & Lewis had prepared a strategic plan and budget to return to profit in 1985-86. Attempting to recoup capital, Wormald International sold off many of its subsidiaries, and decided to merge Kelly & Lewis with Thompson’s Byron Jackson. The new entity of Thompsons Kelly & Lewis (TKL) began operating on 1 January 1987, and Kelly & Lewis ceased to exist. 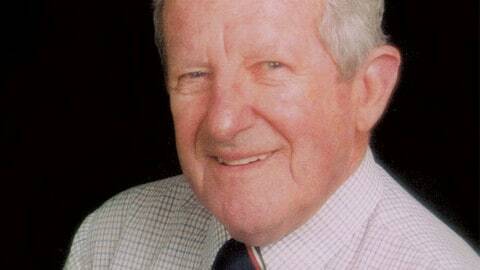 Also in 1987, BTR Nylex acquired Thompsons Kelly & Lewis, a purchase driven by BTR Nylex Managing Director Alan Jackson – who had begun his working life at Kelly & Lewis and ultimately served as a Managing Director of the company. Following the acquisition TKL continued producing high quality pumps, and continued to be awarded contracts throughout Australia. The Institution of Engineers Australia awarded TKL with an Engineering Excellence Award for the manufacture and installation of eight giant sewage pumps at the MMBW’s Brooklyn Pumping Station. Between 1987 and 2004, TKL recorded profits of between seven per cent and ten per cent. After a number of corporate mergers, TKL eventually came to be owned by US company Flowserve in March 2004, and TKl’s operating name changed to Flowserve Pump Division Australia. 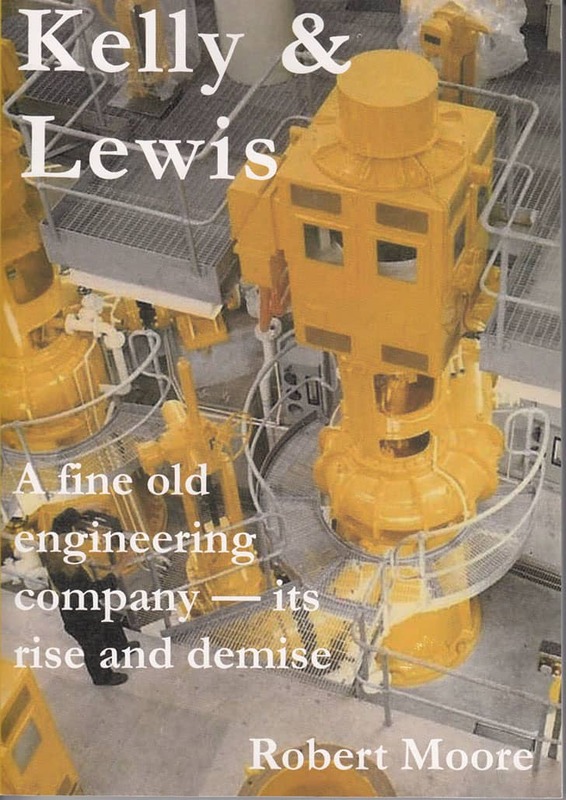 This is an edited extract of Robert Moore’s book, Kelly & Lewis: A fine old engineering company – its rise and demise, which is available from the PIA. 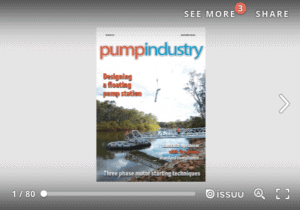 Visit pumps.asn.au/publications. Merry Christmas from Pump Industry magazineWhat is the purpose of minimum flow?